Convenient when baking multiple batches of cookies. Also useful for incinerating monsters! And teammates. Marvek had it all planned. Just a few more busy years of running their small bakery, and after that he and his wife Poppy could retire to a small beach house. Those golden years dreams went up in smoke when Marvek’s magical talents manifested for the first time. An accidental fireball burned the bakery to a crisp and left him no choice but to enroll at the Astral Academy. Luckily there is no age limit to studying magic. Determined and used to tall orders, Marvek has kept up with younger students. Since his classmates are still wet behind their ears, Marvek is committed to both look after them and offer life guidance. He likes to reminisce the golden days of old, even so his trips down memory lane tend to result in getting lost all over the map. Marvek is eager to leave the Academy, so that he can return to his previous life and bake once again to his heart’s content. The Academy’s recently missing parchments seem to be his sweet shortcut to graduation. Marvek isn’t the only student who is after the Nine Parchments. We’ll meet more of his companions in the upcoming weeks! Game is coming out this year, right? Any chance for a release date anytime soon? Yes, poor mighty wizard Amadeus. All the Nine Parchments are soon to be found later this year, but we don’t have a release date yet. The team is working hard to maximize efficiency and showmanship of fireballs. Of course. I absolutely adore these little bits of background info about the characters, it makes them that much more interesting! Also, a small question, from the newest trailer it seems like every world/level will have a different theme and the boss will be themed around the environment as well. Will these bosses offer some sweet special loot, a reward of some sort, a large amount of experience or something else? Love the updates, cheers and good luck! 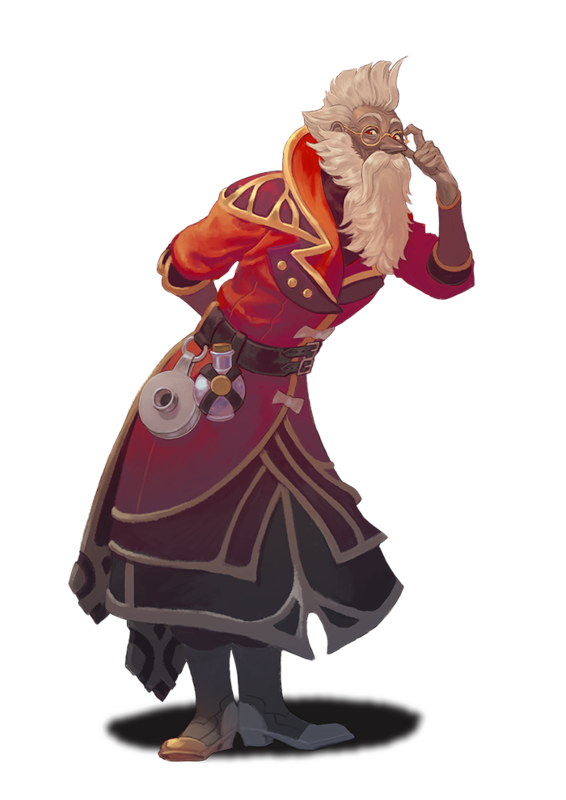 Hi TheraNord, we love to hear you like the character info! It definitely makes writing them more worthwhile. You’re right, Zoya and Pontius in the very least would probably feel a bit too inconvenienced by random fireballs. They are so lucky that Amadeus’s skills are much more… special. About these bosses, well, I can’t say exactly what happens, as I am bound to secrecy. But I think I can imply with heavy arm gestures that killing the big ones will definitely be worth your while! Very nice! The game looks extremely promising and it’s exactly the kind of co-op action goodness me and my fiance are craving. I would like to say one thing though: this will be a fun, probably short game which will attract many people, like Trine did. Also the combat looks super fun and reminds me of Magicka. How many Arpgs have a cool combat like that? If you could combine the arcade fun of a co-op action game with the progression, customization, skill and loot systems of RPGs, well… you wouldn’t have a modest hit, but a major success. People would keep coming back to replay it and they would buy DLCs, expansions and whatnot. And I assure you A LOT of people are looking for something like this: diablo 3 is old and generic, Grim Dawn is getting stale (there’s an expansion coming though), people want something else to play other than Path of Exile (which, by the way, is only online and not local). I know it would be a major effort for the devs, and perhaps it isn’t possible. I think it would be crazy good, though. Also, Nintendo Switch is lacking (and hungry for) that kind of action-rpg co-op titles, so even more people would flock to it. Just think about it… please! We’ll look into this, but we also have an idea how they game will be like so don’t wait too excitedly for everything on your list. I also recommend keeping and eye on our blog for the latest news. Truly, it is not the size of the fireball, but how many friends you have in its blast radius, that matters. Ok, but what happened to his wife? Is she still alive? I love love love this game! Marvek has got to be my favorite character… with the right skills picked, he can really tear up the poor monsters. And the oven! The kids and I have been playing this nonstop for a couple of weeks now… such a fun game. And the artwork is just the best. I see hints of lots of cool national parks, love of animals and nature, and fun things like the mantis shrimp. I don’t want that guy punching me at 23 m/s! 😉 Great game! Now I guess I’ll have to try out the Trine series, … I never happened into them but heard good things. Amadeus lead me there… cool backstories! I mentioned he isn’t as old as he looks, and just yesterday the kids caught him saying something about the color of his hair and not being good with potions. Anyway, keep up the awesome games!! I hope there is a Ten Parchments around the corner!